The Latest in Celebrity News, Red Carpet Moments, Viral Videos and Breaking Celeb Rumors! : ROMEO MILLER COVERS SNYTCH MAGAZINE! 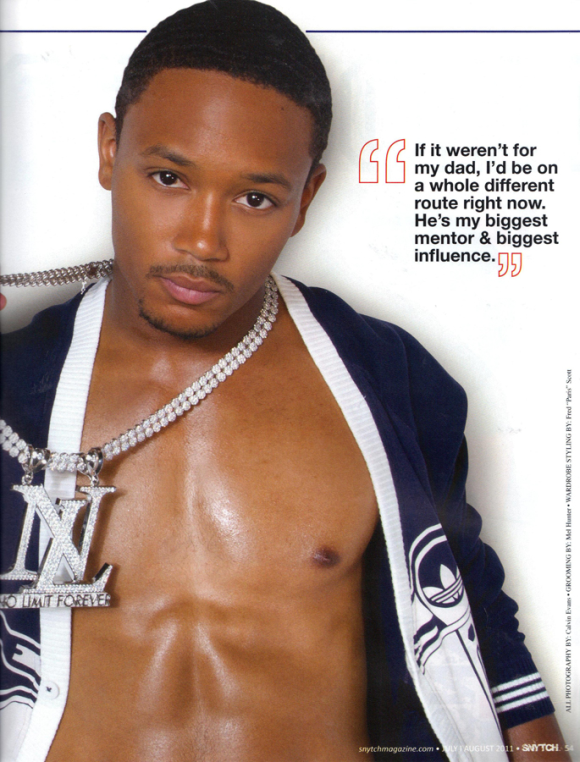 ROMEO MILLER COVERS SNYTCH MAGAZINE! Lil Romeo covers the July/ August issue of Snytch magazine In the issue , he talks about his dad, staying focused and growing up in the entertainment business. on his positive behavior Romeo says, "I've got to thank God and my family. Being the oldest of the Brady Bunch clan at home and having my brothers and sisters around definitely kept me humble." Check out the hot spread below! What do you think of the pics? Tell me in the comments and follow me Kels for fresh updates... P.S I FOLLOW BACK!